For ten years, Fifi, a Syrian brown bear, was forced to perform in a roadside zoo in Pennsylvania. 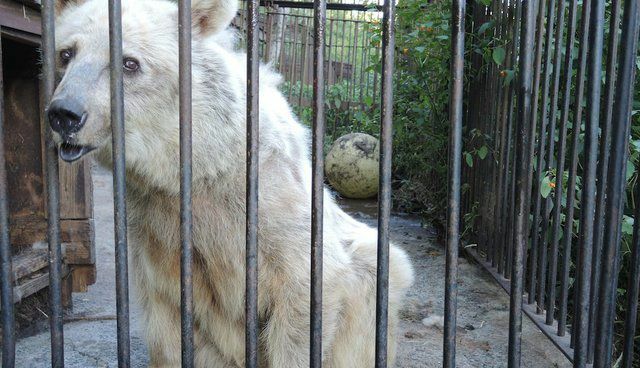 For twenty more years after that, Fifi was left behind in the abandoned zoo, locked in a tiny, cramped, concrete cage. She and the other two bears from the zoo were left behind to starve and die. 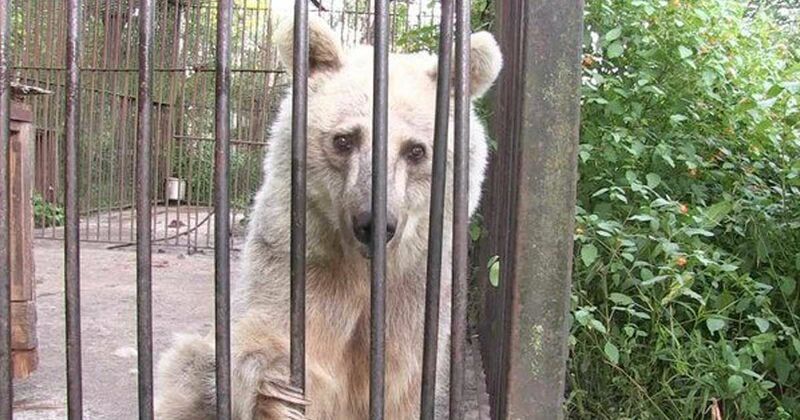 Trapped in their cells, these bears were not able to live as bears should. They couldn't hunt, explore the outside world, or swim. It was a cruel existence for Fifi and her fellow bears. 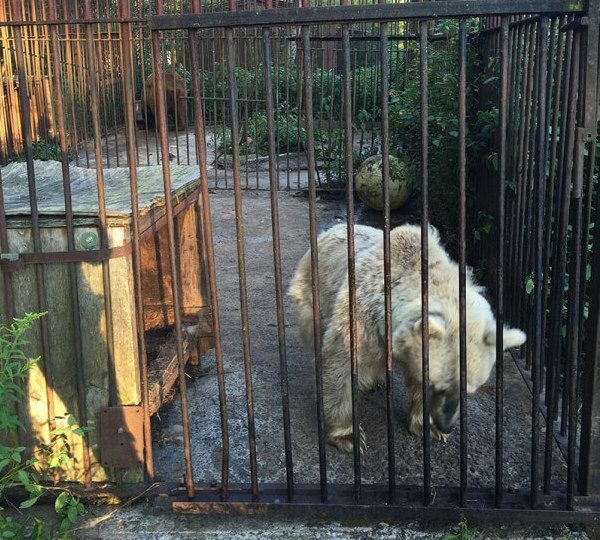 For years, the owner of the abandoned zoo refused to give the bears up. 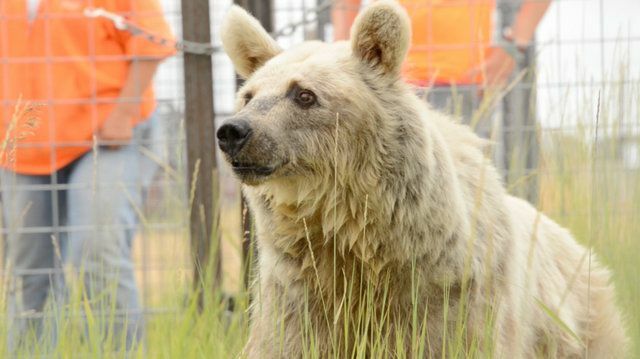 Then finally, in 2016, the owner surrendered the bears to PETA. 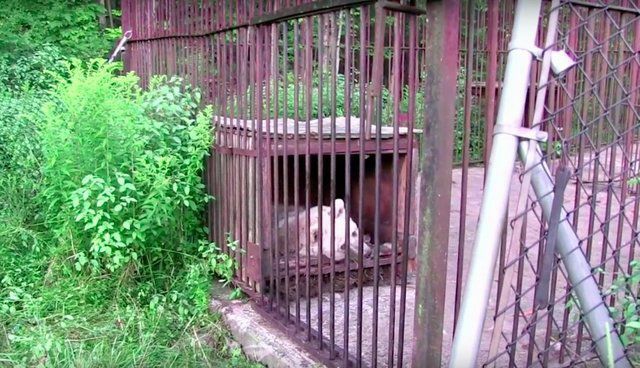 The group's representatives raced to the zoo only to find an incredibly sad sight. Fifi was dangerously thin, with a rough, dirtied coat that hung from her small body. Her eyes reflected the sad, lost soul she had become during her thirty years in captivity. 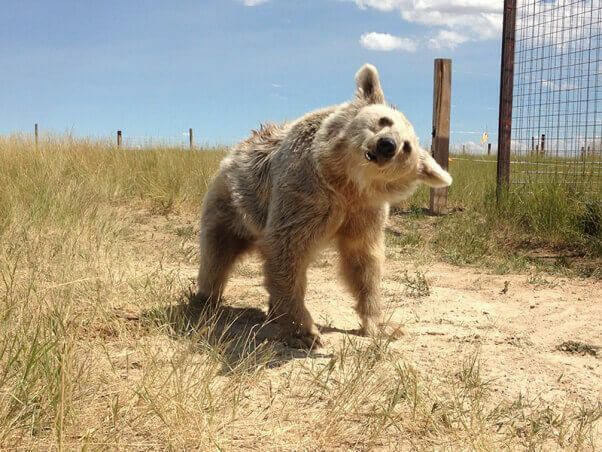 The video below of Fifi's rescue shows an old bear in pain when she tries to walk. Upon further examination, it was found that Fifi had severe arthritis in her back legs. Fifi and her fellow bears also exhibited signs of immense stress and depression as seen when they are swinging their heads back and forth. Even worse, Fifi and the other bears had never been allowed to hibernate, which is a necessity for bears to live natural, healthy lives. The Wild Animal Sanctuary who assisted PETA in the rescue noted that "The four bears only had small rotted wood boxes to lay in, but were not large enough for the bears to fit into completely - nor did they have an end wall to close off the box from winter snow and cold. 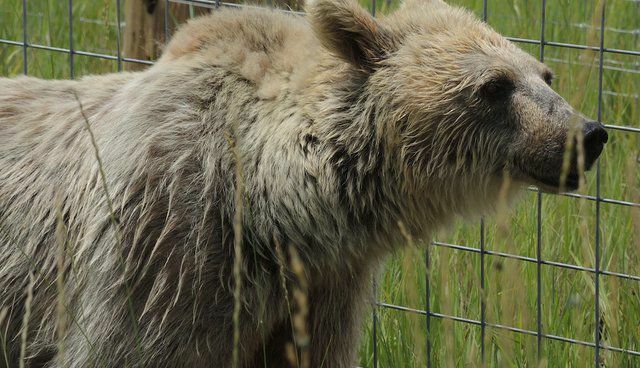 Their owner felt they shouldn't hibernate and made sure they stayed awake each winter for decades (this is extremely detrimental to the bears' health and well-being)." 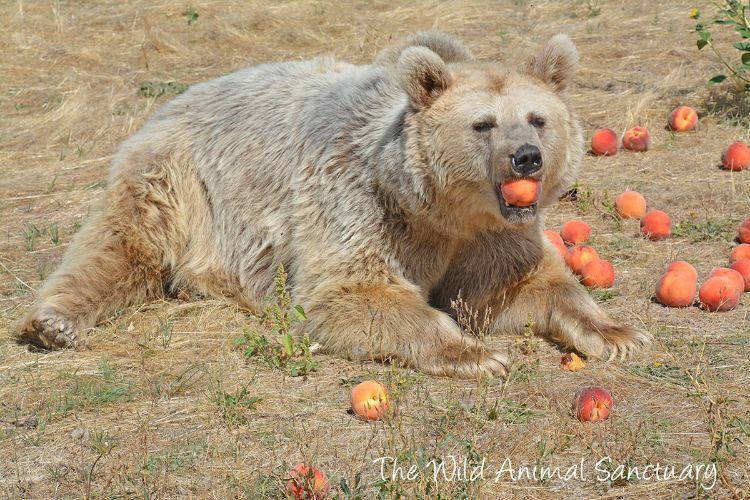 At 32 years old, Fifi was a risk to relocate to a sanctuary, but the rescuers strongly felt that she deserved a chance to live her last years in freedom. 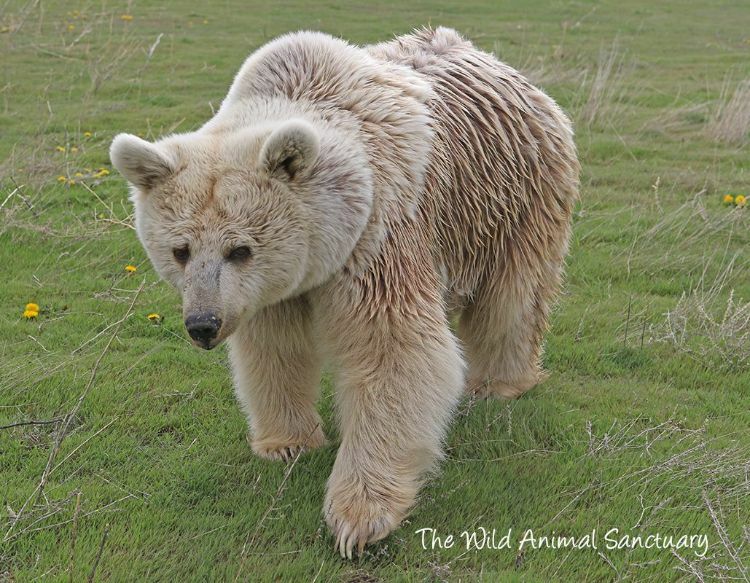 The bear was taken to The Wild Animal Sanctuary in Colorado. There, for the first time in 30 years, she was given a proper diet and allowed to run in open spaces through the grass. In just a few short months, Fifi looked like an entirely different bear! Her transformation is nothing short of miraculous. Share Fifi's story of hope with your family and friends on Facebook.